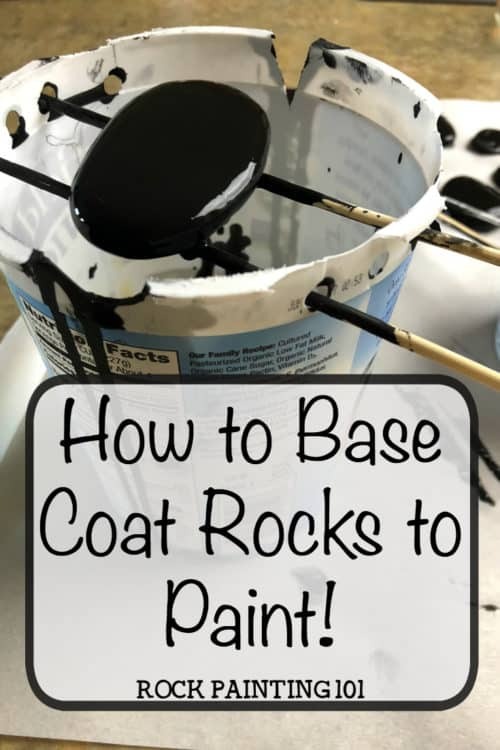 Add a base coat to your rocks ~ The fast and cheap way! 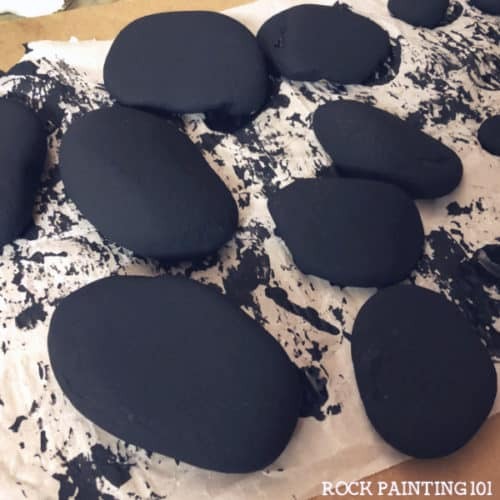 How to add a base coat to your rocks. Want your colors to pop off of a bright white rock? Don’t want to pay for black rocks? 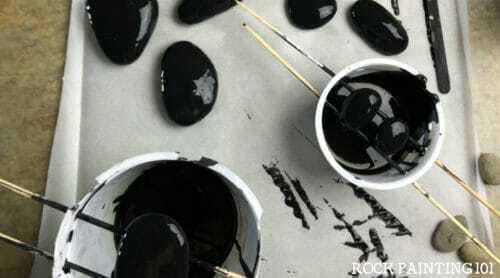 Add a quick base coat to your rocks with this simple method. I’m not going to lie…this whole method started because I’m cheap. I didn’t want to waste all of my precious paint on the base coat of my rocks. So I diluted the paint a bit. And then I made a simple little “contraption” that helps me to collect the excess paint. And now I have a method to my madness. And once you get going, you can batch coat as many rocks as you want to! This method is perfect for the rocks that I only paint on one side of. 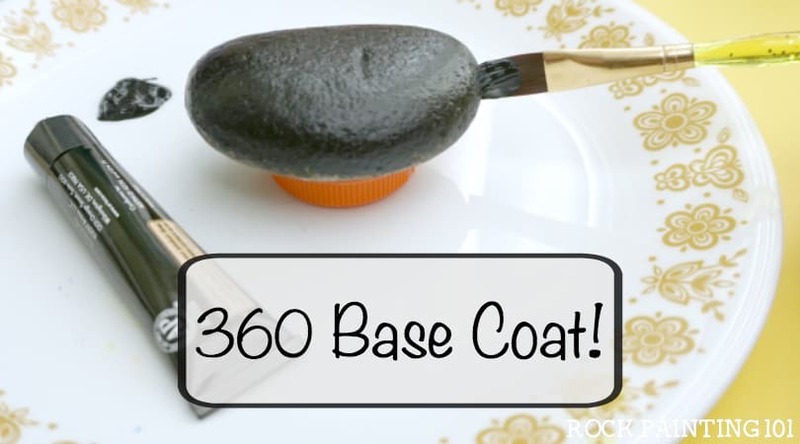 If you want to have a base coat on all sides of your rock, you’ll need a 360 base coat. Check out these quick tips for a 360 base coat! Check out how a kid’s craft site used this method for making kindness rocks! Are you paying too much for your rocks? Check out the affordable way I buy rocks! 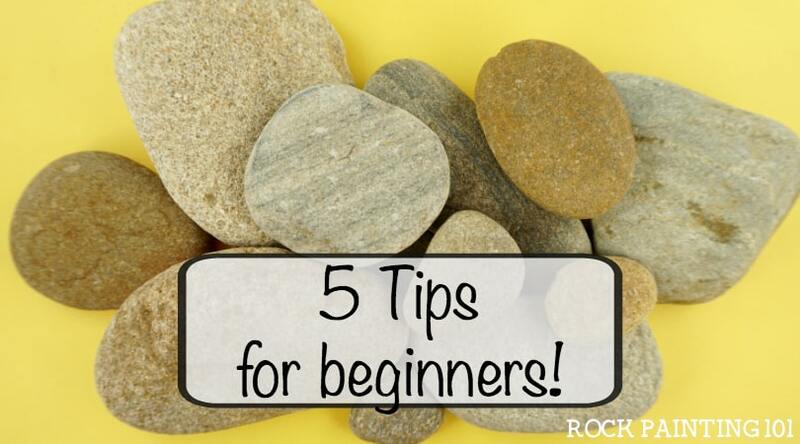 Before you start, make sure your rocks are prepared for rock painting. This method is so easy and saves you money on paint. I purchase a big bottle of acrylic paint from Amazon. Then I add water to it in a separate bottle. For the darker colors, I use a 50:50 ratio of paint to water. For lighter colors, like white, it really depends on your paint. If you have a thinner acrylic paint, you don’t want to add as much water. 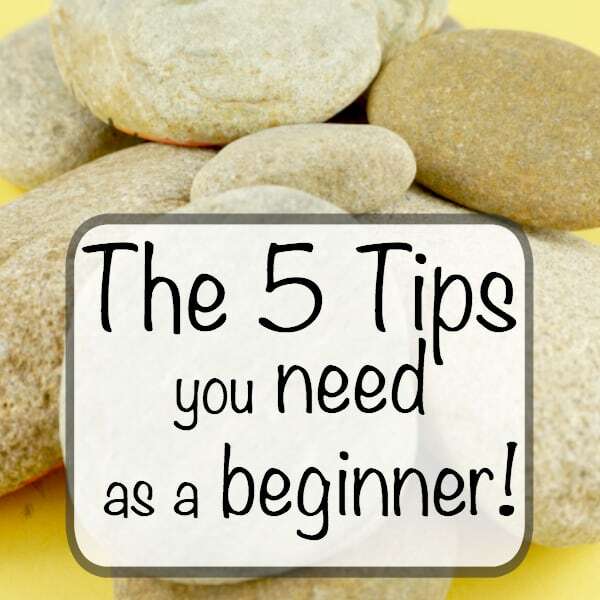 Start with a little bit and add more if it’s not flowing all the way around the edges of the rocks. 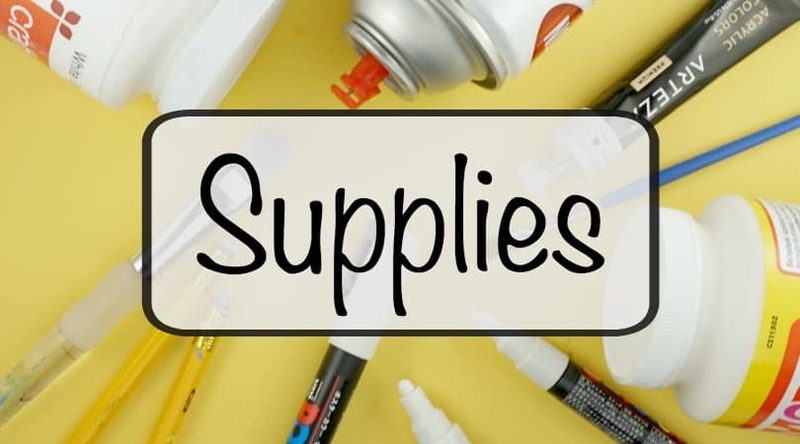 Check out the other amazing rock painting supplies that we love!! Here are my tips for quickly adding a base coat to several rocks. You can see it all in the video below. I made this DIY contraption to help me coat my rocks. It’s made out of a leftover yogurt container and a couple of sticks. So simple! The container helps two ways. First, it gives me a place to pour the paint so it can cover as much surface area as possible. And second, it collects the extra paint inside the container. I pour the extra back into my marked paint bottle and keep on coating until I’m either out of rocks or out of paint mixture. Give your rocks a quick nudge with a craft stick when you put it on the parchment paper. This will help to spread the paint on the back side of the rocks. Get inspired with this collection of rock painting ideas!! Once you’ve painted your batch of rocks, let them sit for a day before you paint on them. This process is super easy. My kids LOVE to help too because they’re basically just squirting paint onto the rock and watching it spread. It’s a bit mesmerizing to watch. 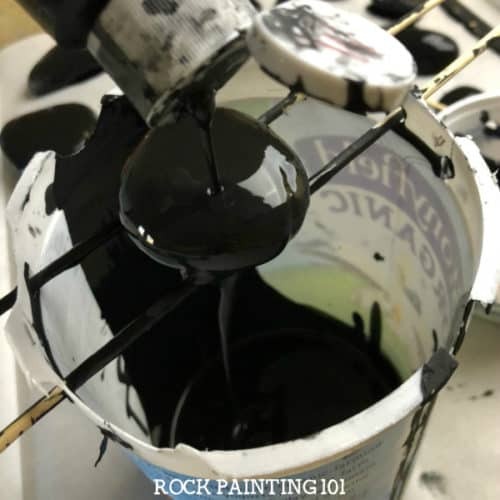 Watch this video to learn how to paint rocks! If you loved this rock painting tip, please pin it your favorite Pinterest board! 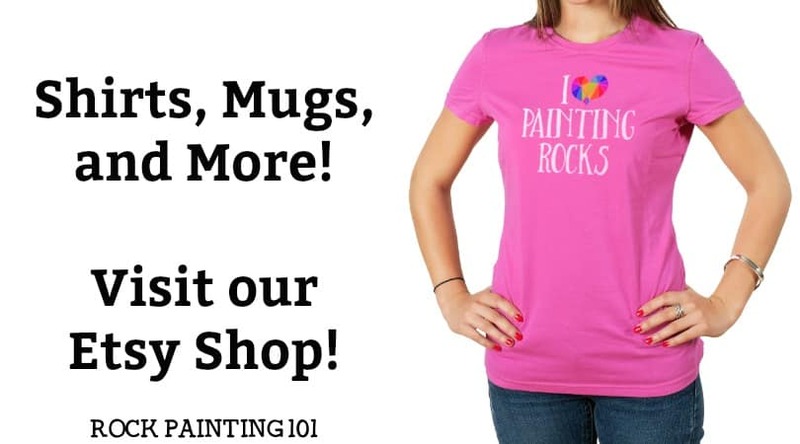 If you loved this rock painting tip, you’ll love this!